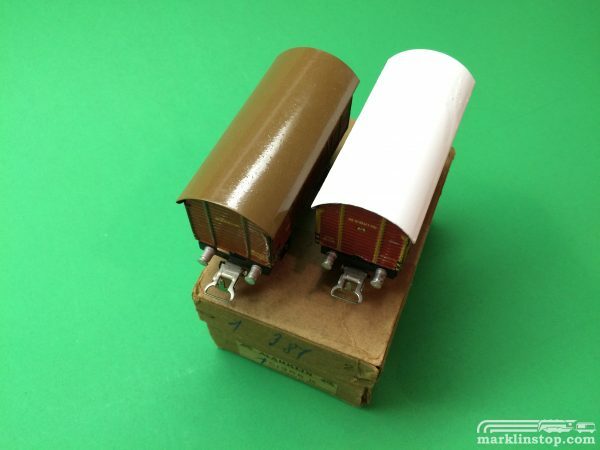 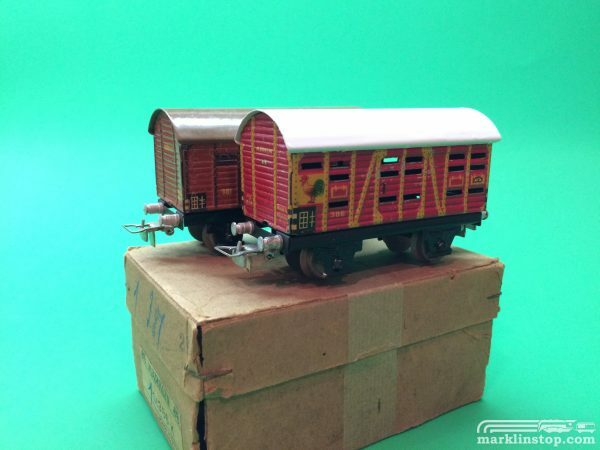 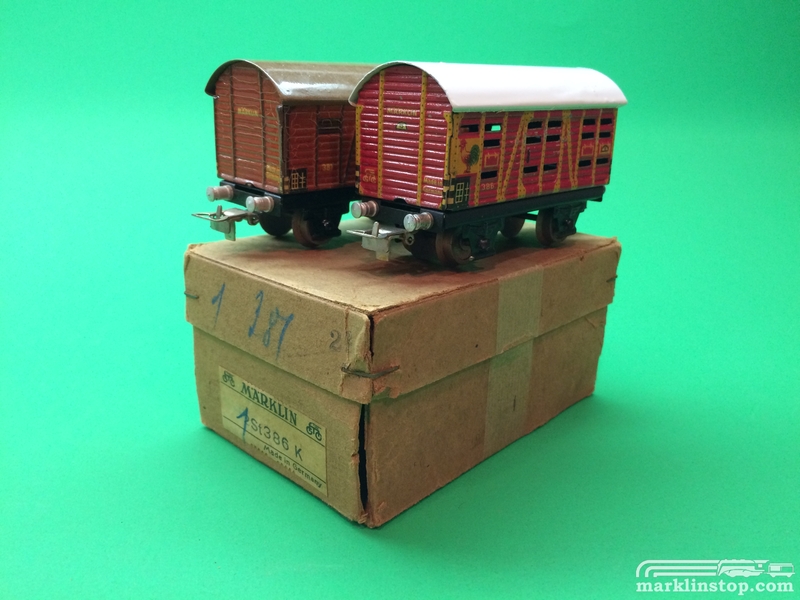 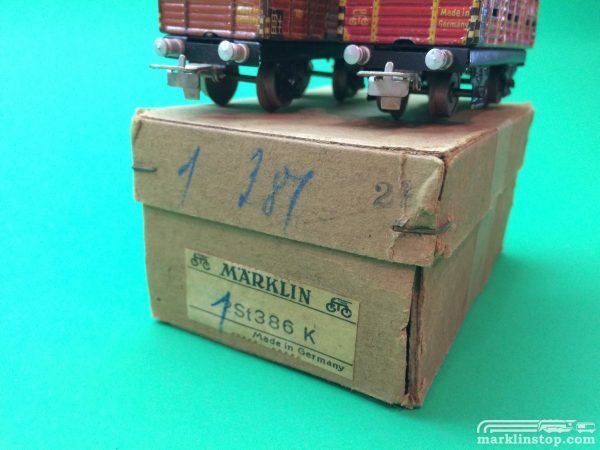 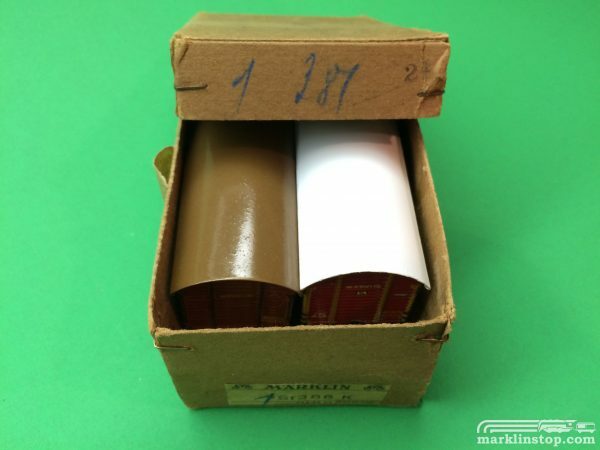 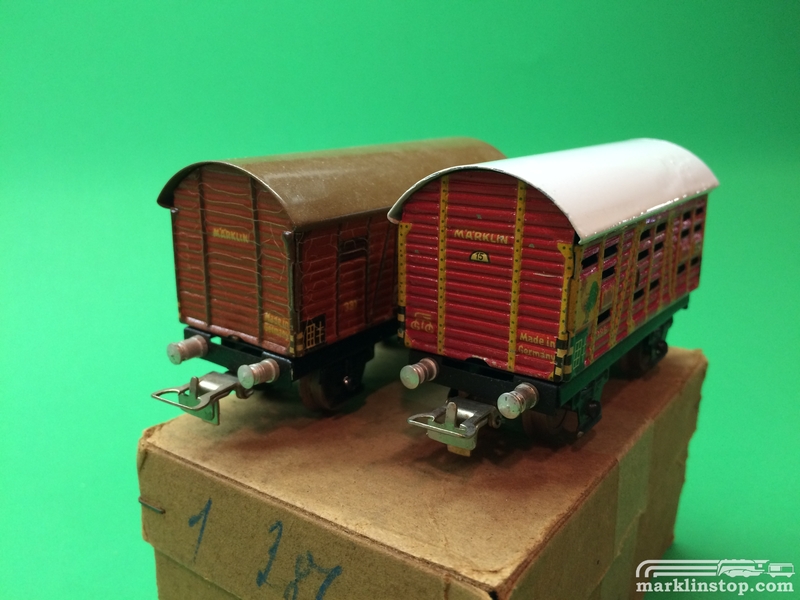 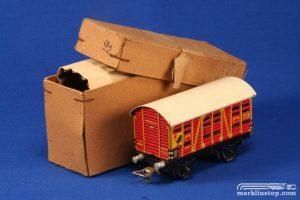 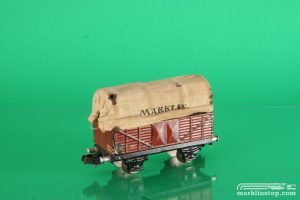 Wonderful double-pack of Marklin 381 and 386 cars with BK couplers in original box stamped 1942. 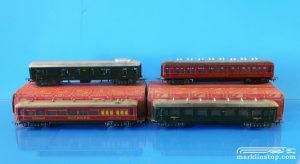 The 381 car has wear to sides and has areas of paint loss. The paint on the roof of the 386 was restored. 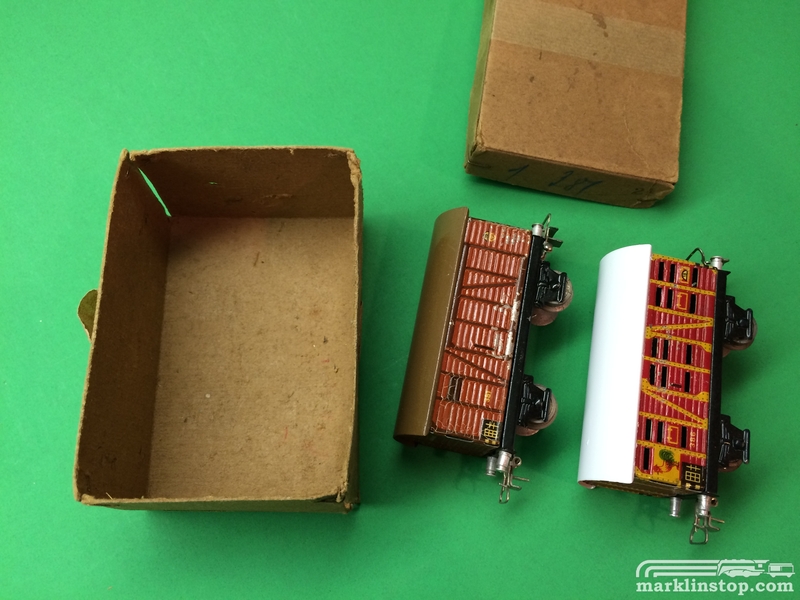 Overall a great boxed set!